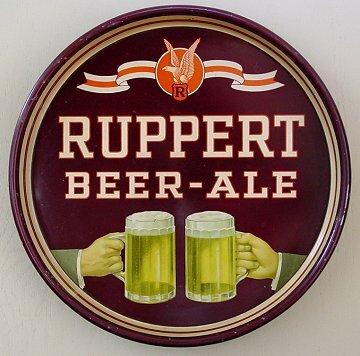 New York, New York Comments: The cousin of the Ruppert Eagle tray. Same size and stock. Nice looking tray when you find a clean shiny one. There is also a oval, woodgrain tray with the same toasting Mugs.